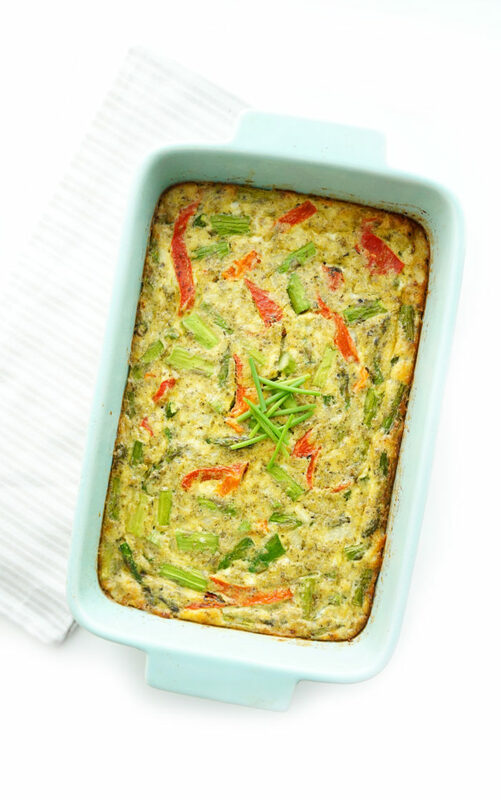 This pesto asparagus crustless quiche is healthy and light, yet still very filling since it’s packed full of protein and fibre-filled veggies. 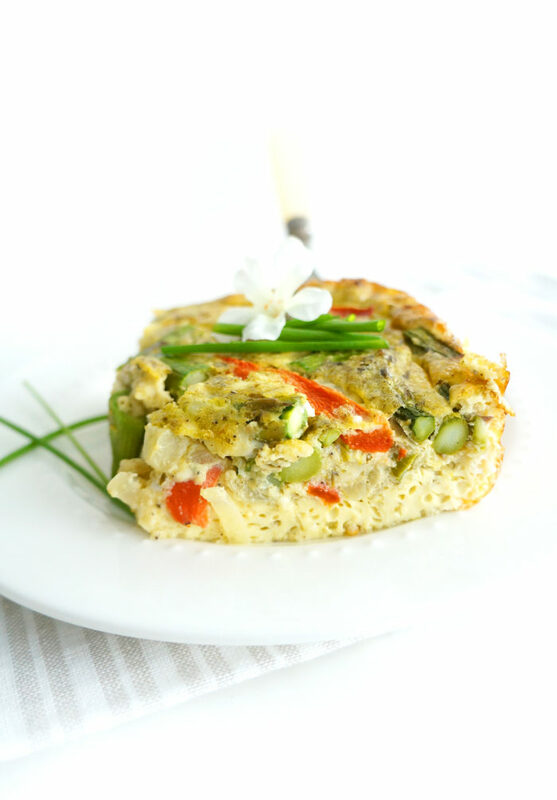 Makes a perfect Spring or Easter brunch for the whole family! So Easter is just around the corner! Hooray!! For some reason, around Easter time, I always get this sudden craving for eating eggs, but not just any old egg. Generally, I eat eggs every morning for breakfast to get some protein in, so for special occasions it has to be prepared in a special not-everyday-kinda-way, usually in the form of a quiche. No clue why! It can be a big quiche or little mini quiches like these cute mini egg cups…but quiche is where it’s at! 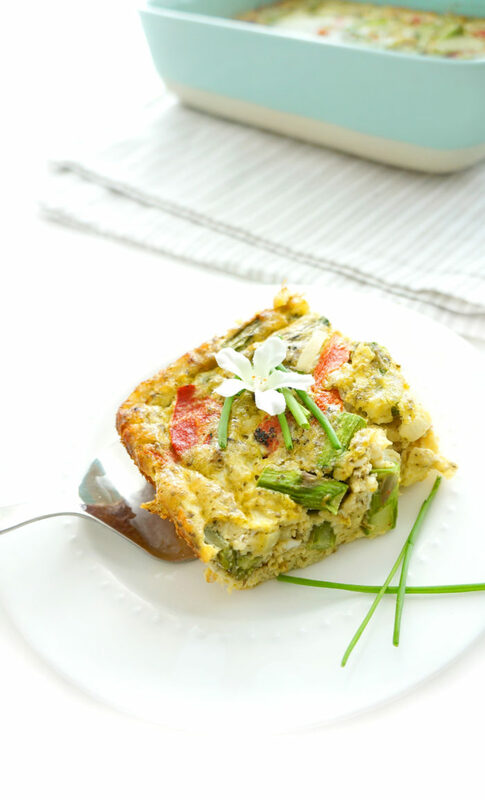 There’s just something about quiche that screams Easter brunch, especially when it has Springtime vegetables like asparagus. 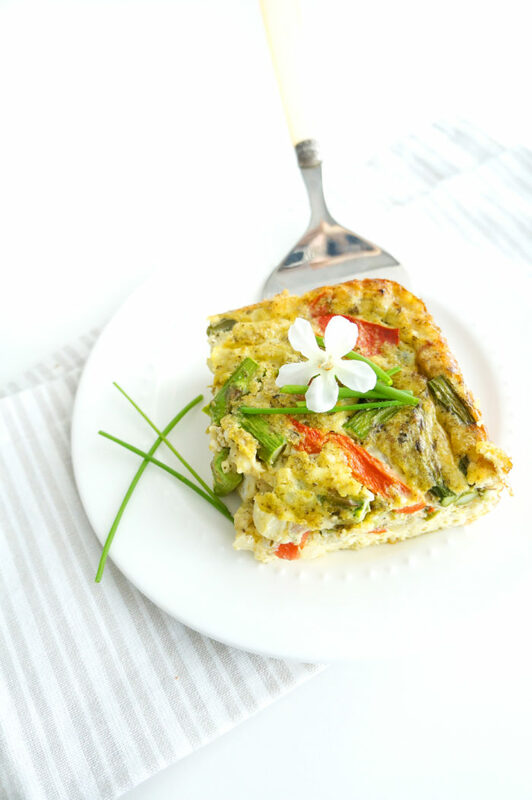 I made this Pesto Asparagus Quiche last Easter when my family came over and it was a huge hit. My rule of thumb is always, if I would make a recipe again and all of those who try it agree that it’s THAT good, it’s considered to be blog-worthy. 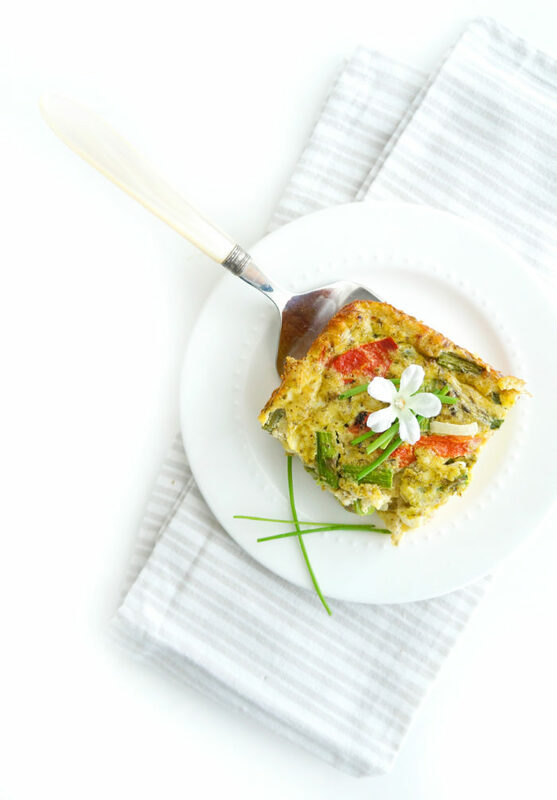 What I love about this recipe is that you can make the egg mixture in advance and then quickly bake it before company arrives….OR alternatively, you can make the whole quiche ahead of time and keep it in the fridge for several days for a quick and easy breakfast. Who doesn’t love a grab and go breakfast?! When I made this quiche last week, it tasted just as delicious on day 2 and 3 as it did when it was fresh out of the oven! 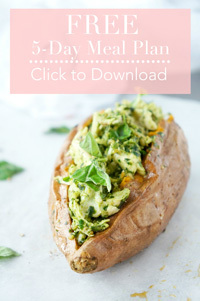 Since becoming a new mom, I’m all about the make-ahead recipes because you can just whip it out the next day and there’s no effort required other than to warm it up. That’s exactly the kind of recipe that this mama needs! Delicious, easy and healthy. This quiche is also lower in carbohydrates since there’s no crust, and packed full of protein and fibre which can keep you feeling full and satisfied so you don’t overdo it on those chocolate easter eggs….which ARE pretty delicious, I’ll admit, but can you really just stop at one?? One thing I also love about this recipe is that it contains a secret ingredient that totally kicks it up a notch. Any guesses?? If you’ve been following along with my posts lately, you’ll know that I adore pesto and I’ve become pretty obsessed with it lately. It goes on my salmon, chicken, pizza, zoodles — why not throw some in the quiche too? Total game changer. It’s just such a simple, easy and healthy way to add flavour to any dish. I’d suggest pairing it with this Roasted Asaparagus Spring Salad for a double dose of asparagus and Spring freshness! In a large bowl, whisk together eggs, milk, salt and pepper. Stir in roasted red pepper and feta cheese. In a large skillet, heat oil over medium high heat. Add onion, salt, pepper and asparagus. Cook until softened, about 5 minutes. Add the onion and asparagus to the egg mixture and stir to combine. Next, spray a 9x13inch baking pan with non-stick cooking spray. Pour the egg mixture into the pan. Bake until set and golden, about 30-35 minutes. Oh my wow, this looks delicious. I love pesto and quiche. It’s a tasty marriage. I love your photos too! Aww thanks so much Ashley! I have to agree that pesto + quiche is a pretty great combination!